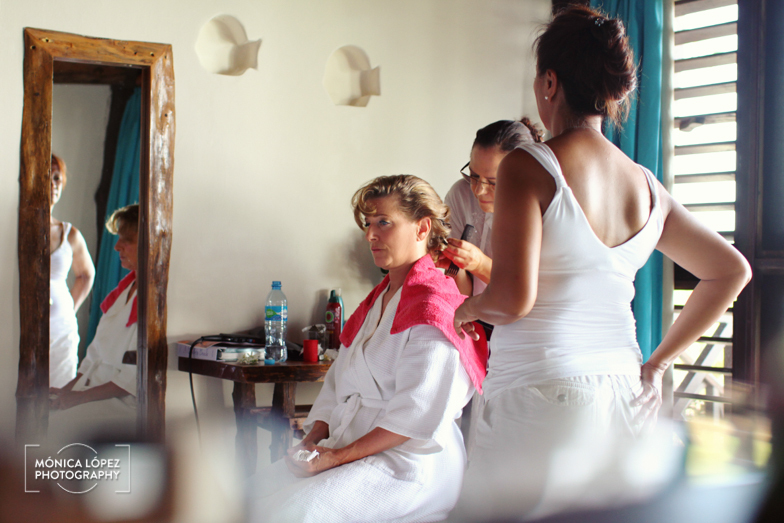 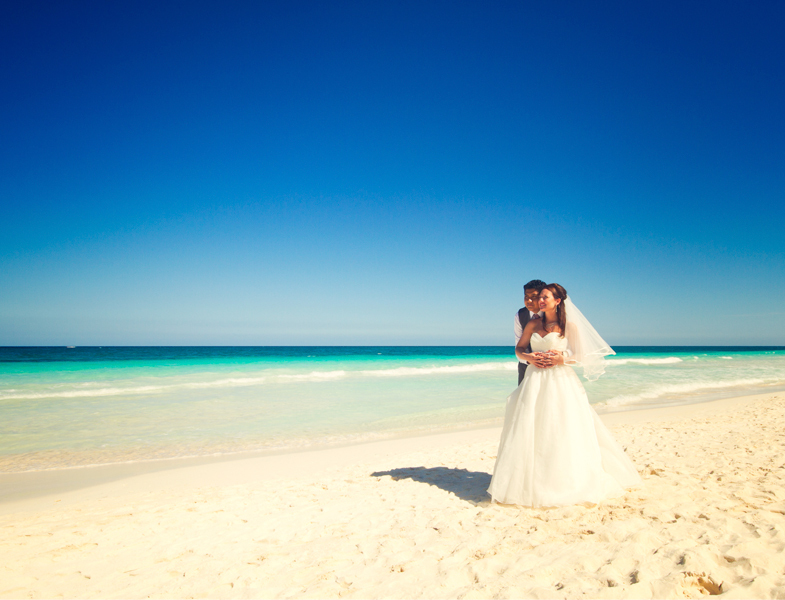 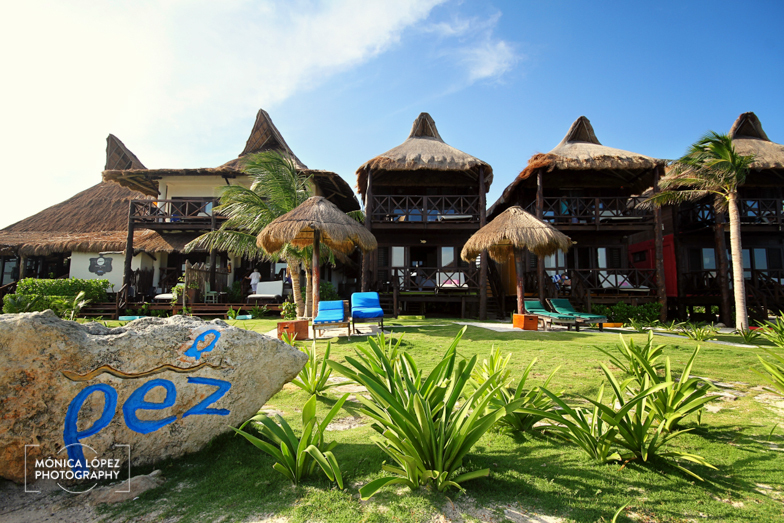 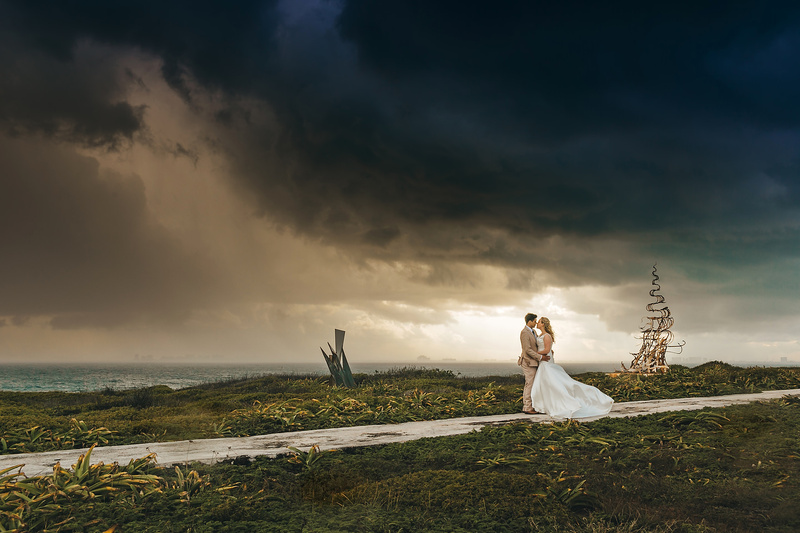 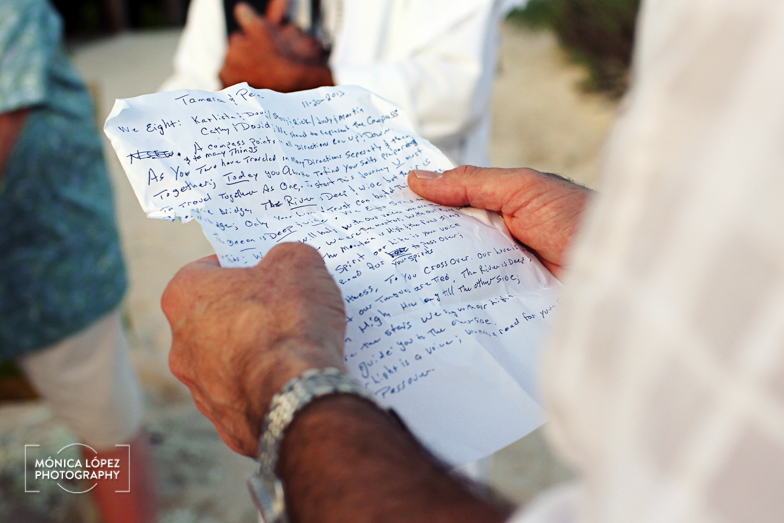 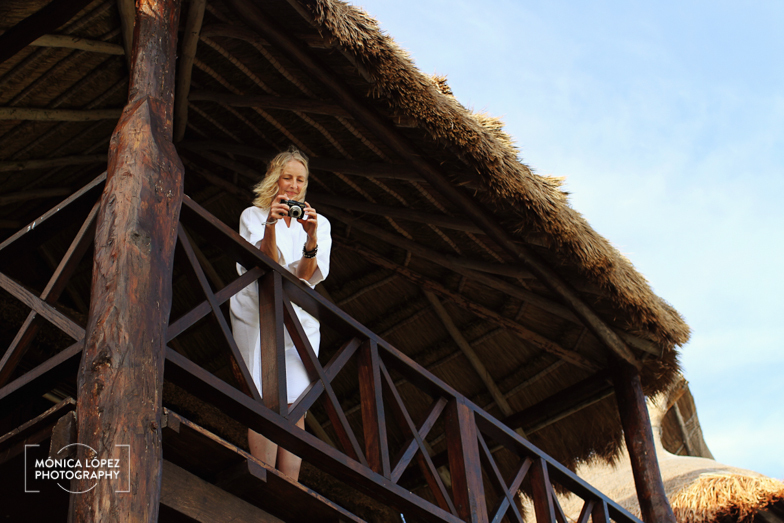 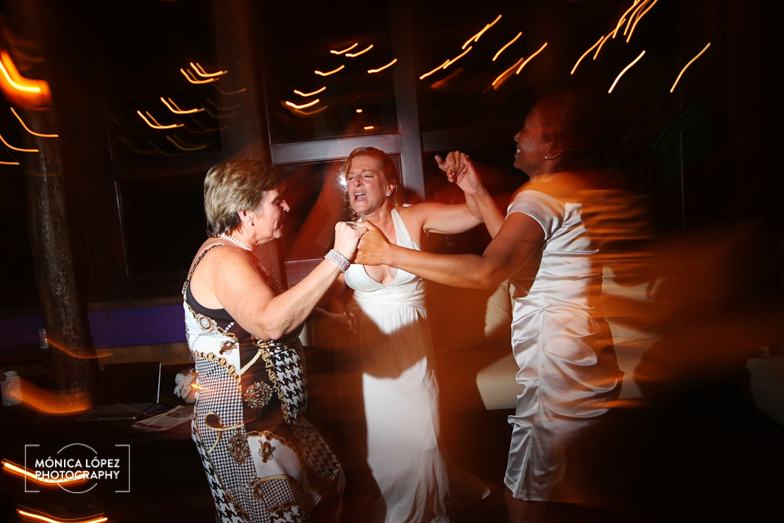 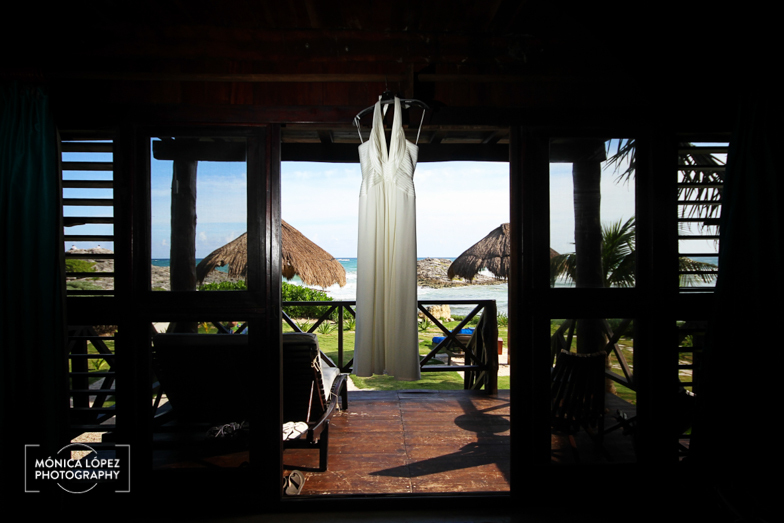 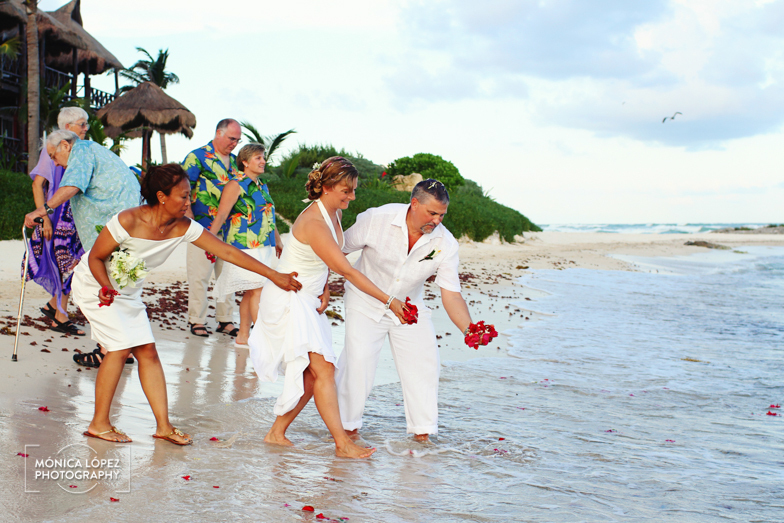 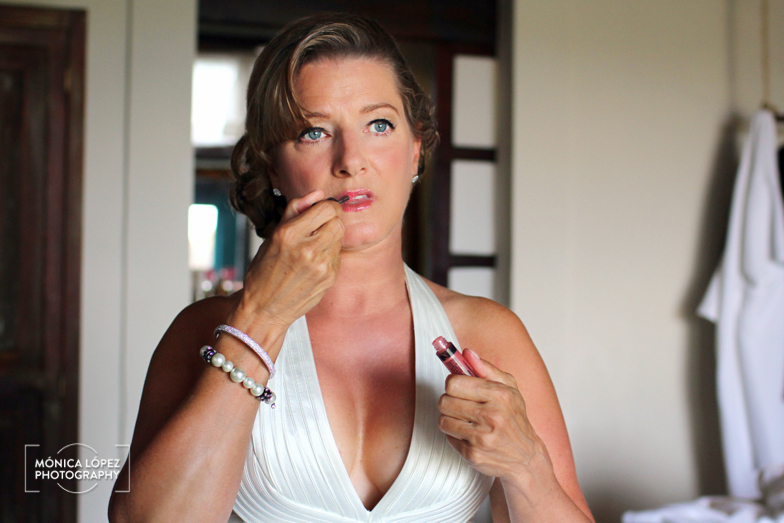 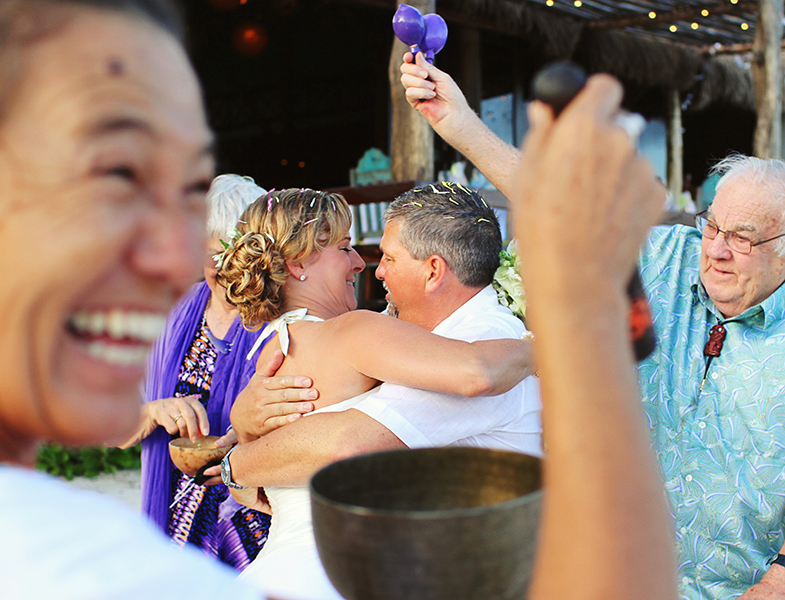 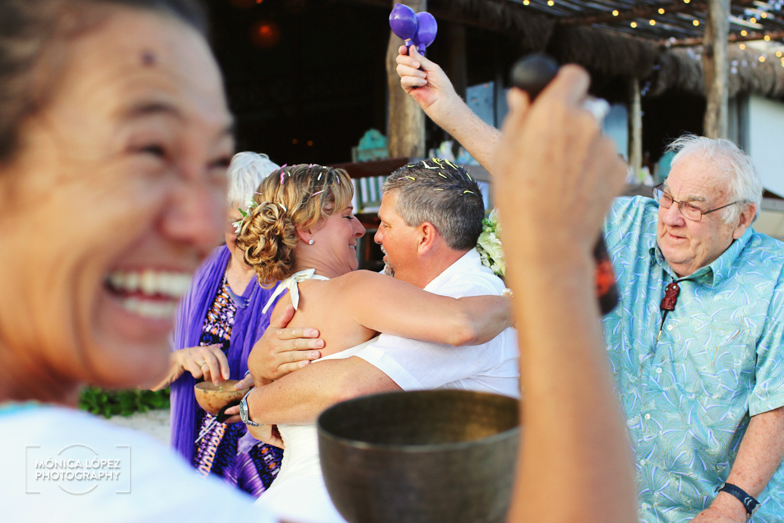 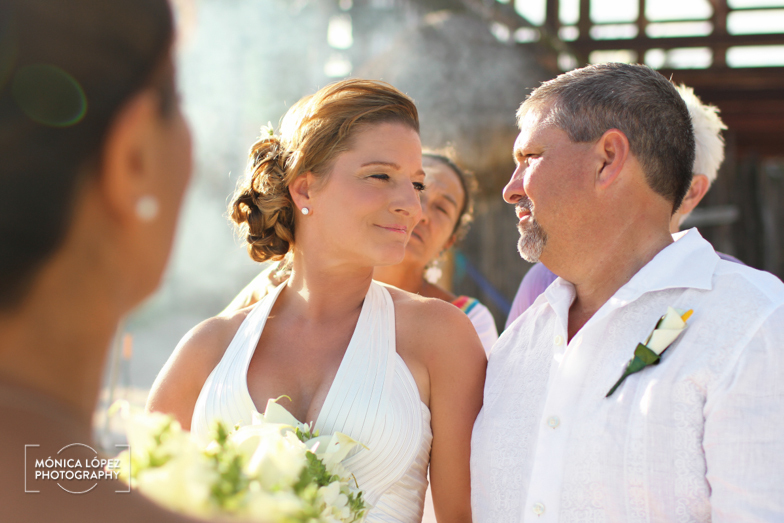 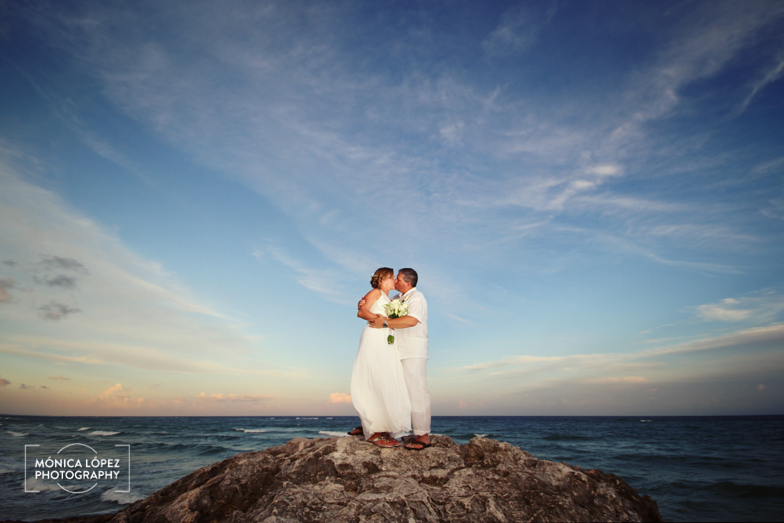 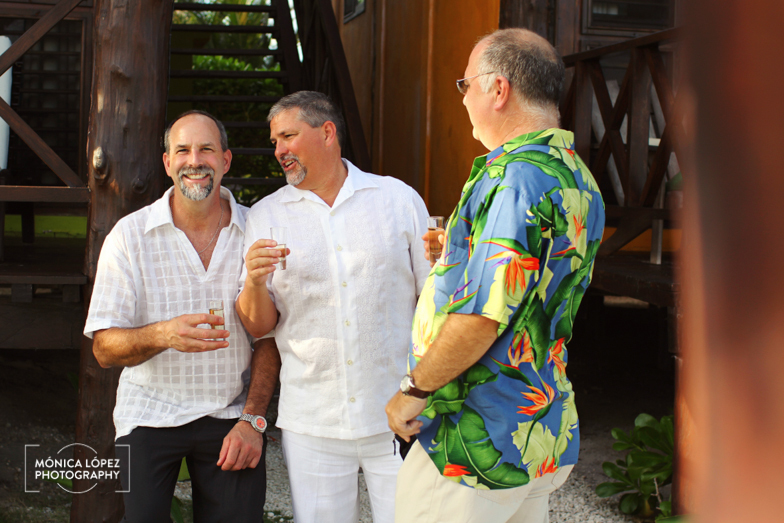 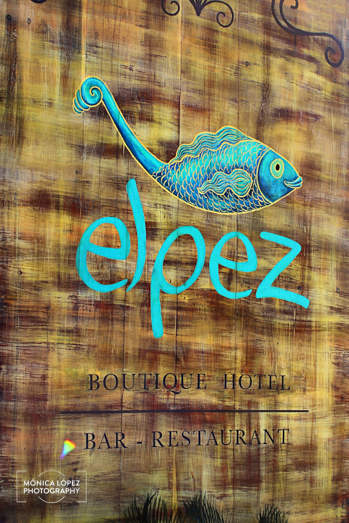 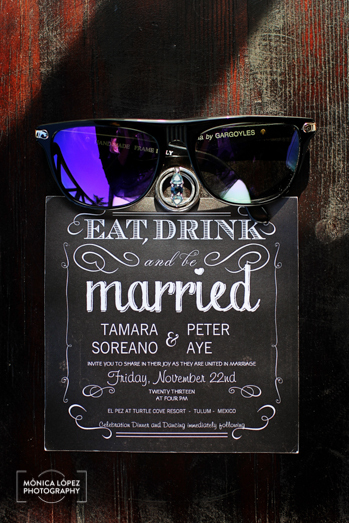 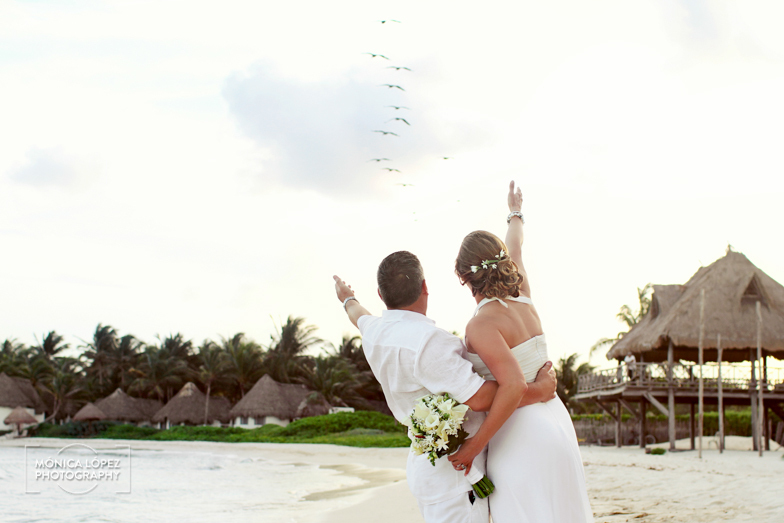 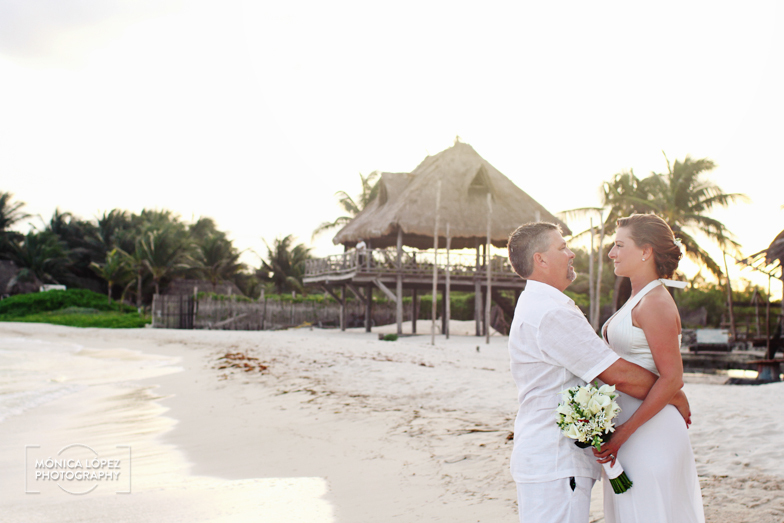 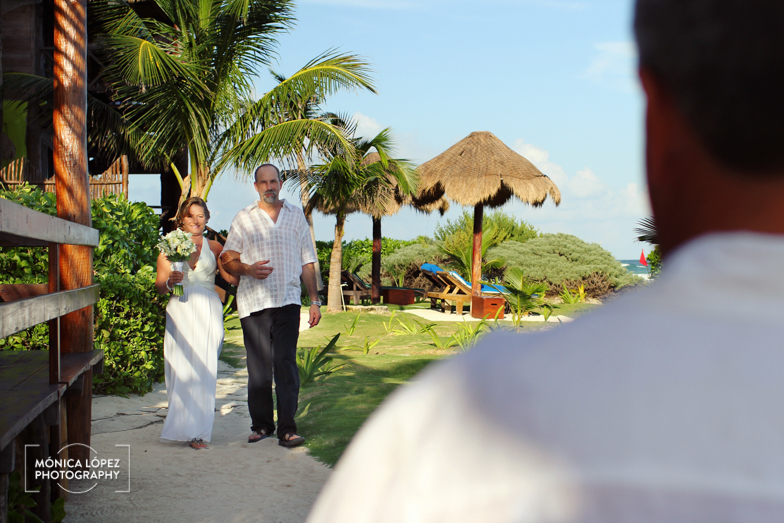 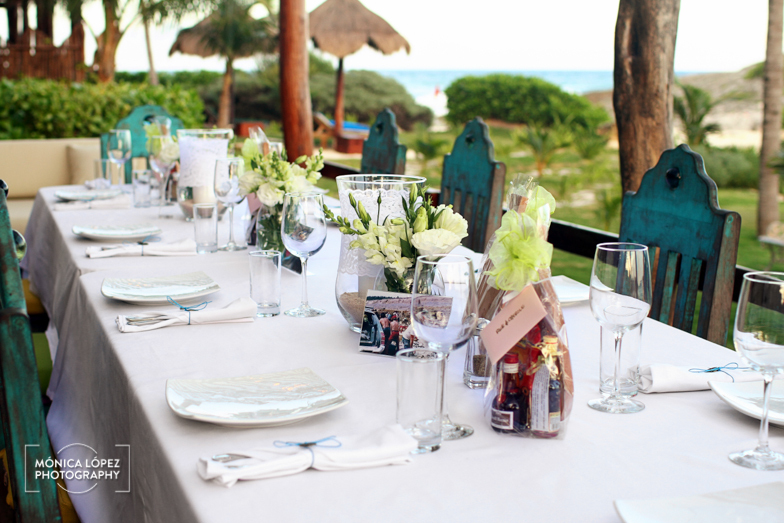 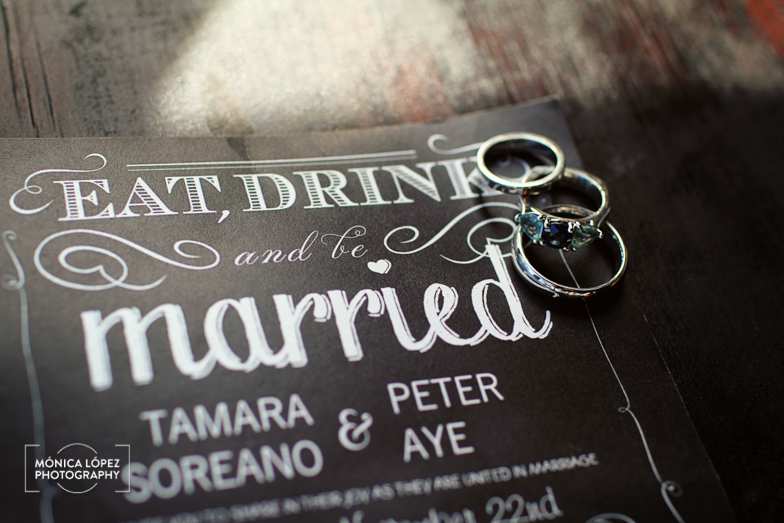 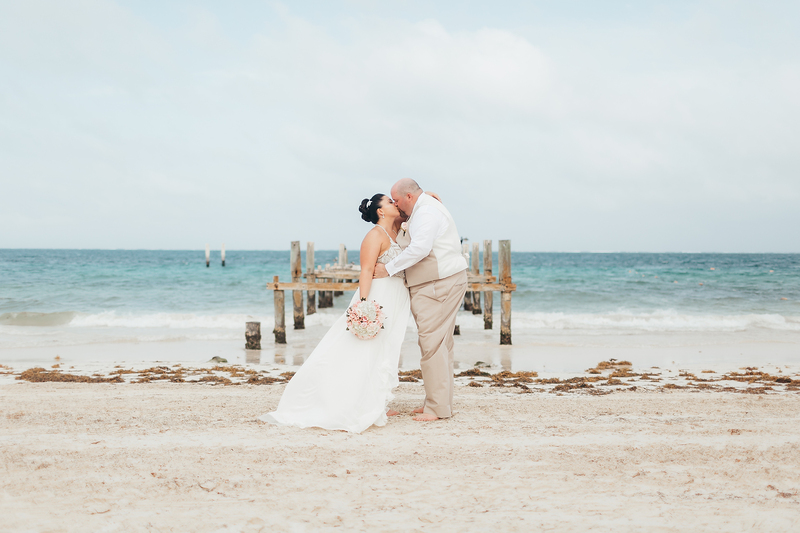 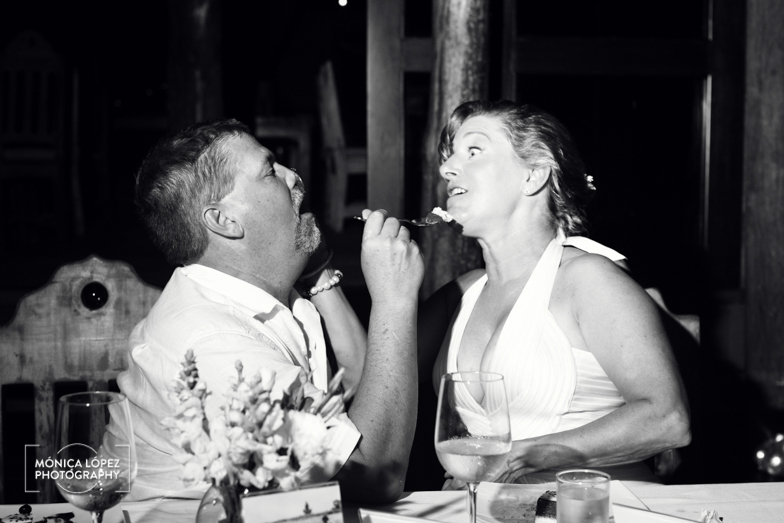 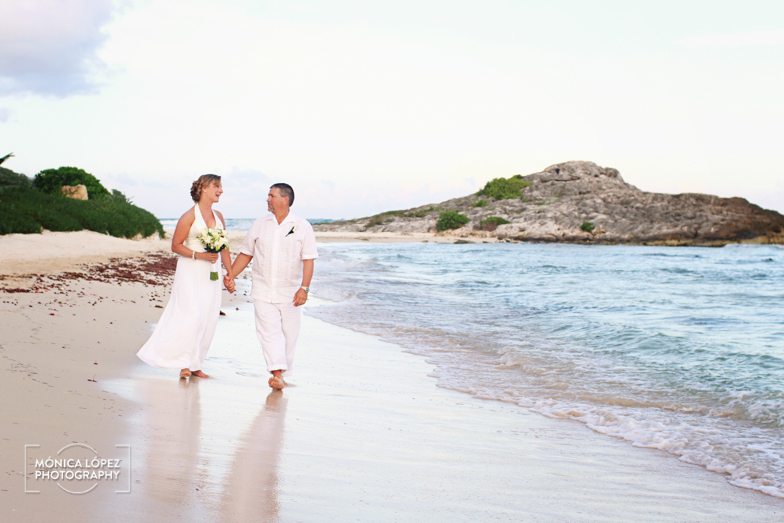 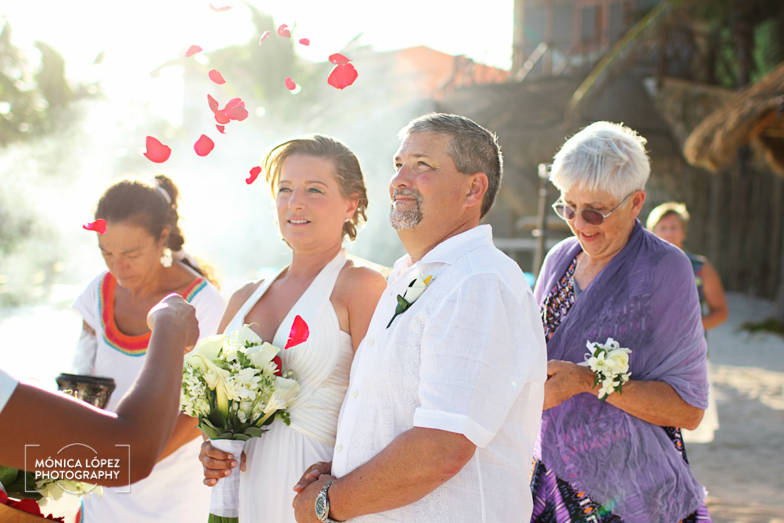 El Pez Hotel was the perfect venue for Tamara’s and Peter Tulum wedding. 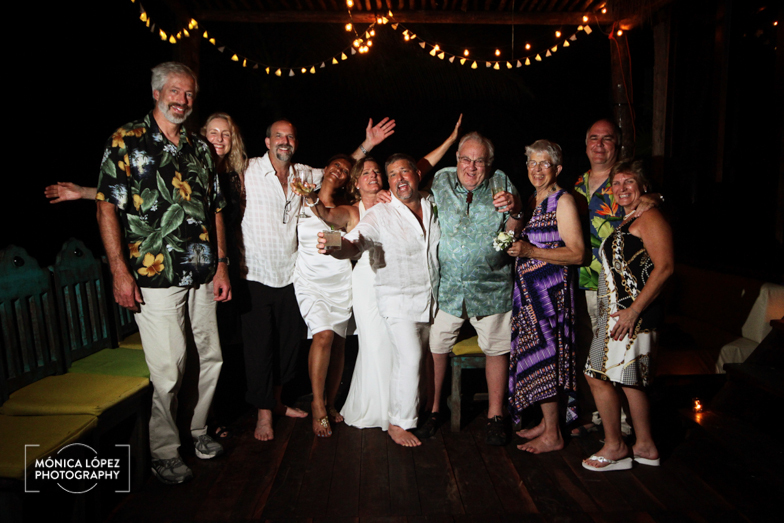 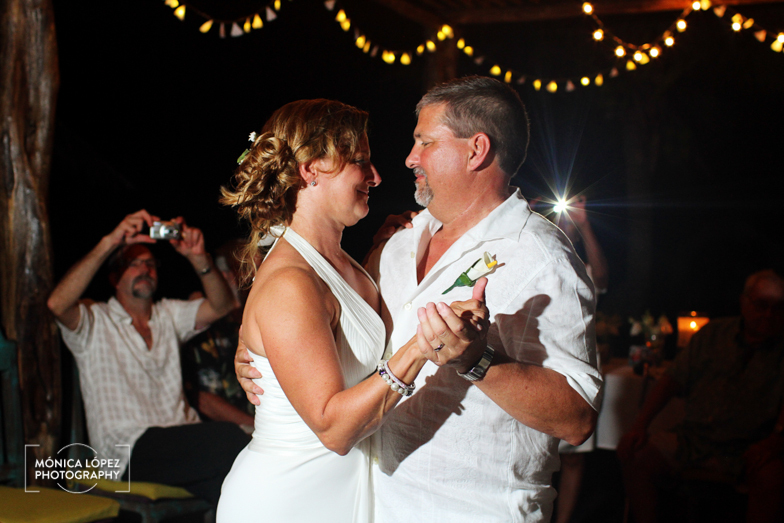 On their 10th anniversary of being together, Peter invited family and friends to celebrate and have a good time, surprising everyone when he got on one knee and proposed to the love of his life. 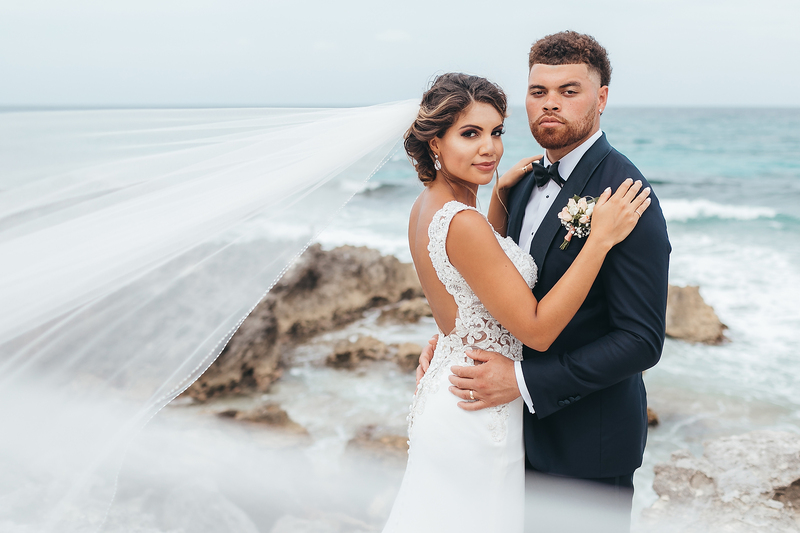 They lived together, had a beaufitul dog and shared the same interests and passion for outdoor activities, so why not tie the knot? 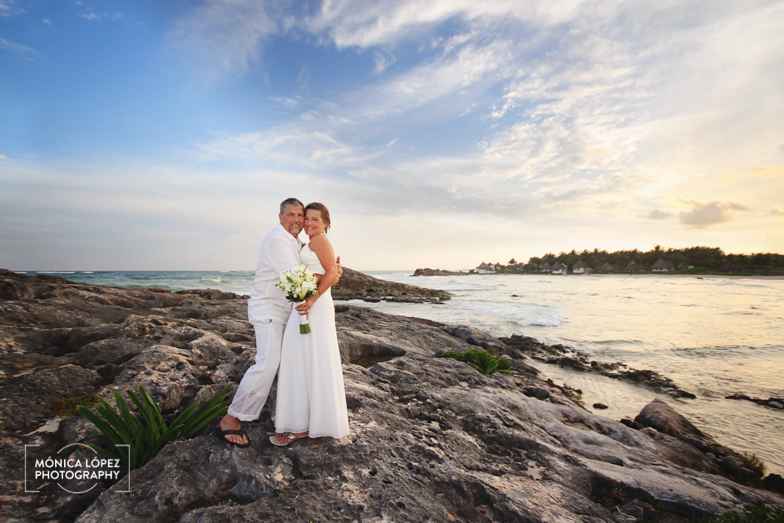 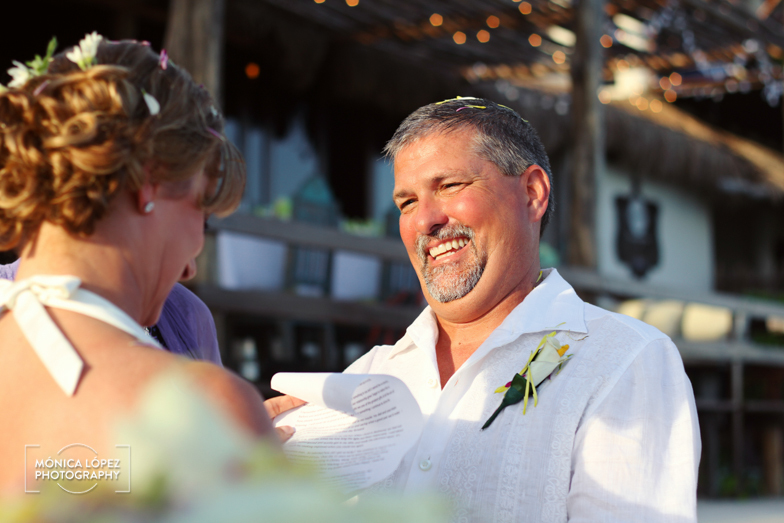 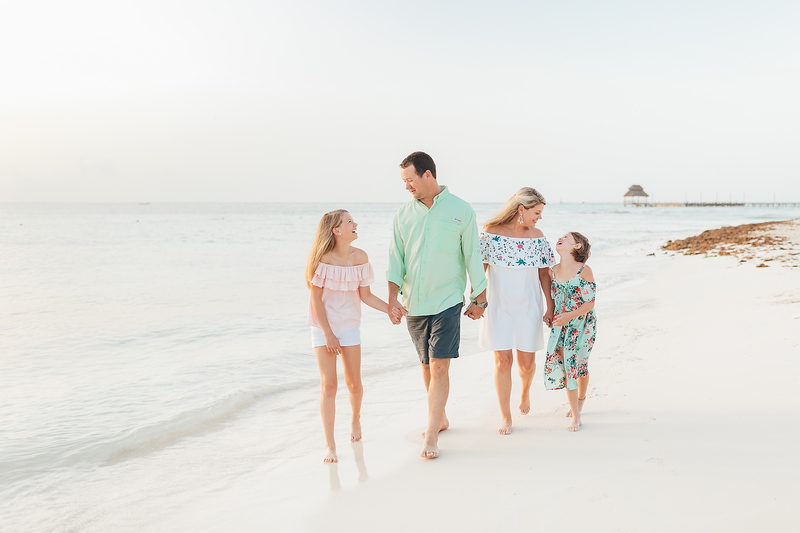 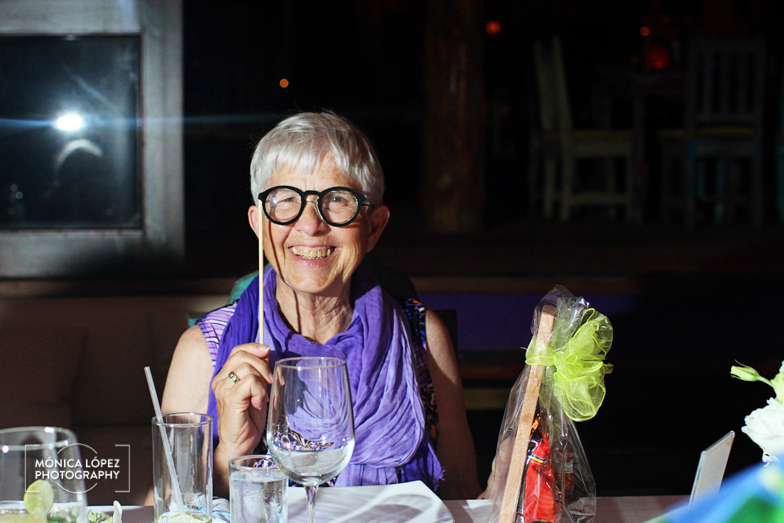 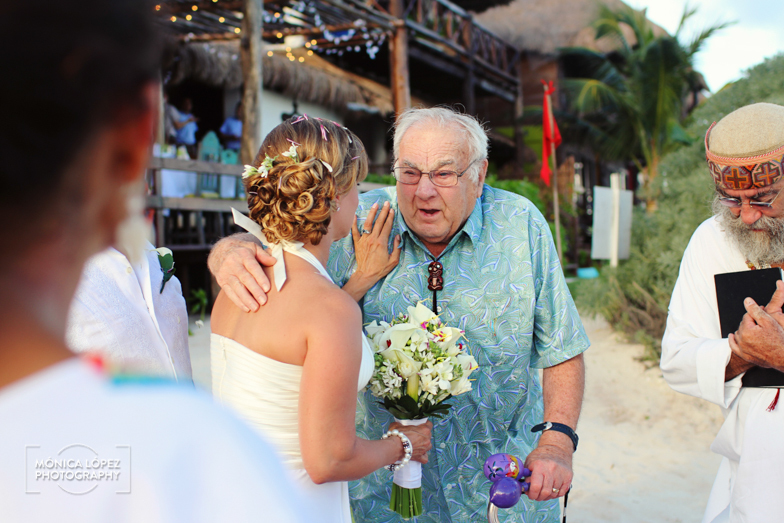 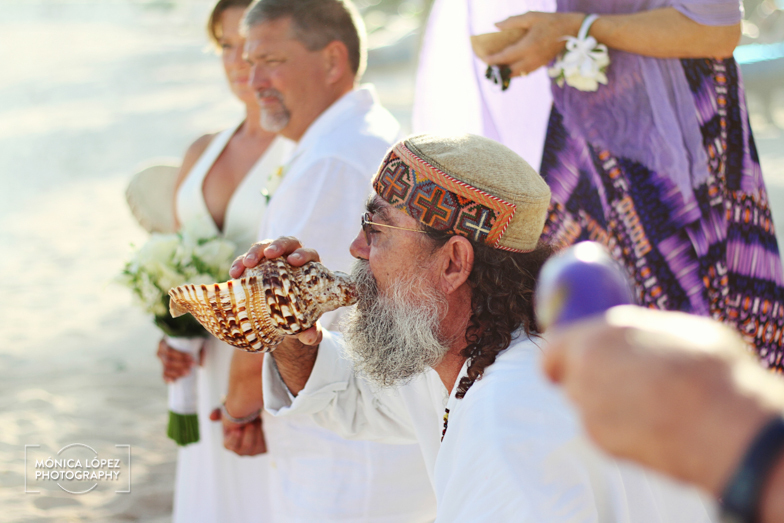 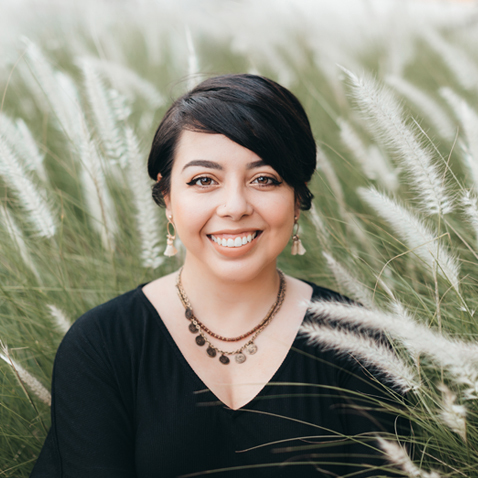 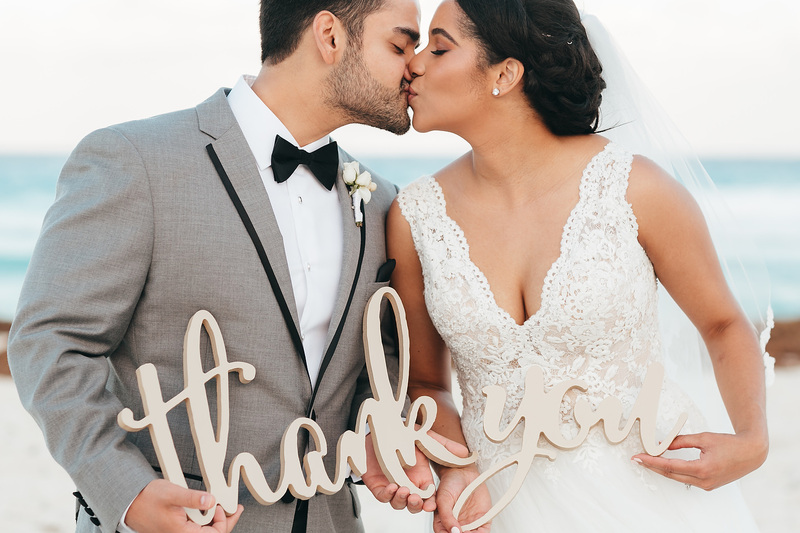 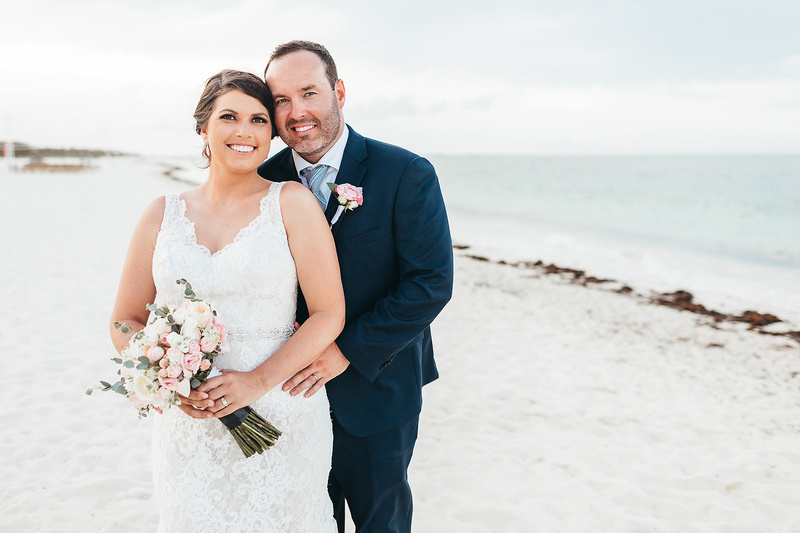 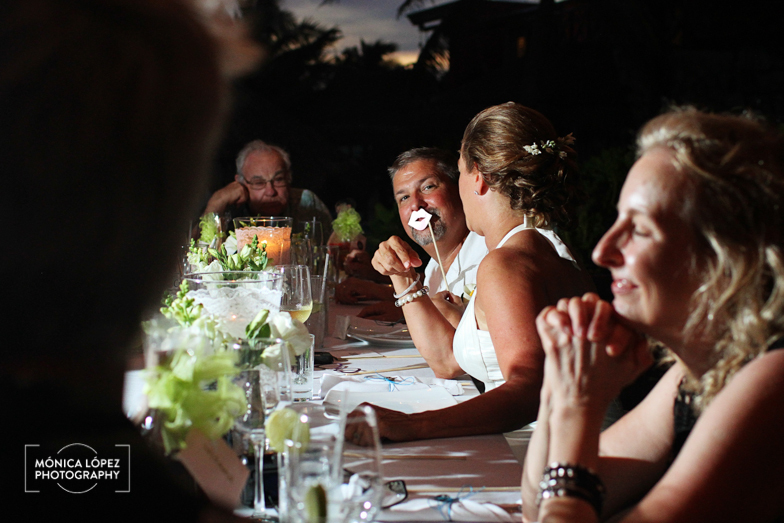 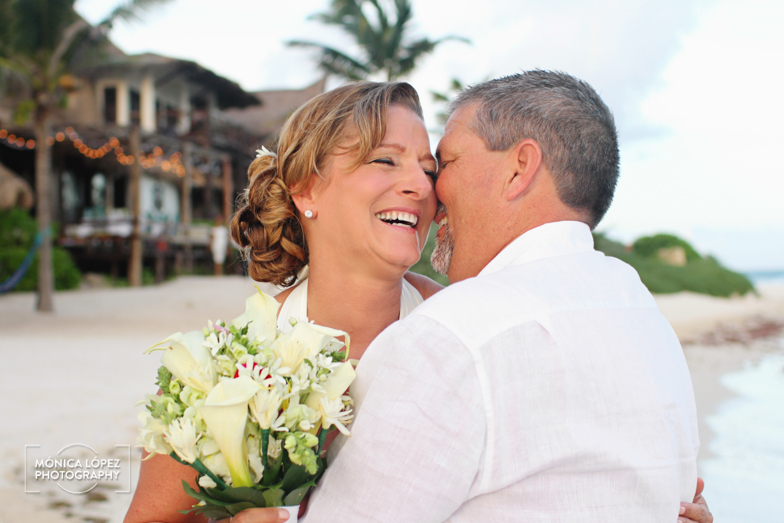 Loving scuba diving, their minds instantly wandered to the coral reef in the Riviera Maya, and so they contacted weeding coordinator Lina Ávila, who took care of every little detail and made the day flow perfectly. 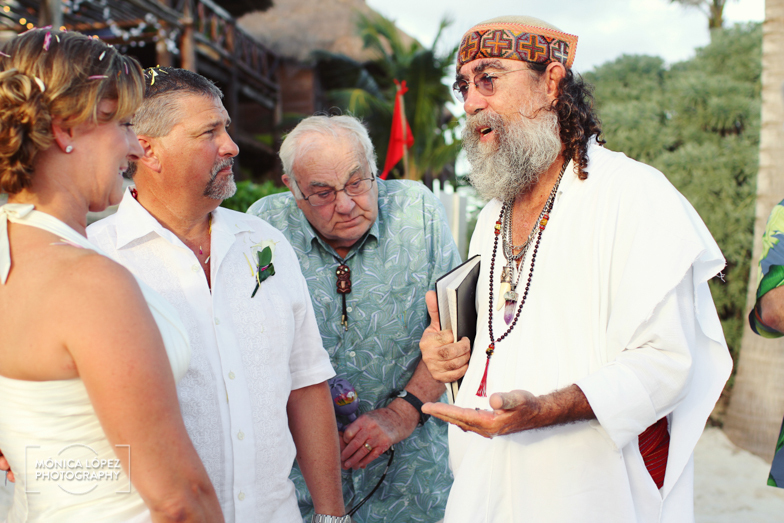 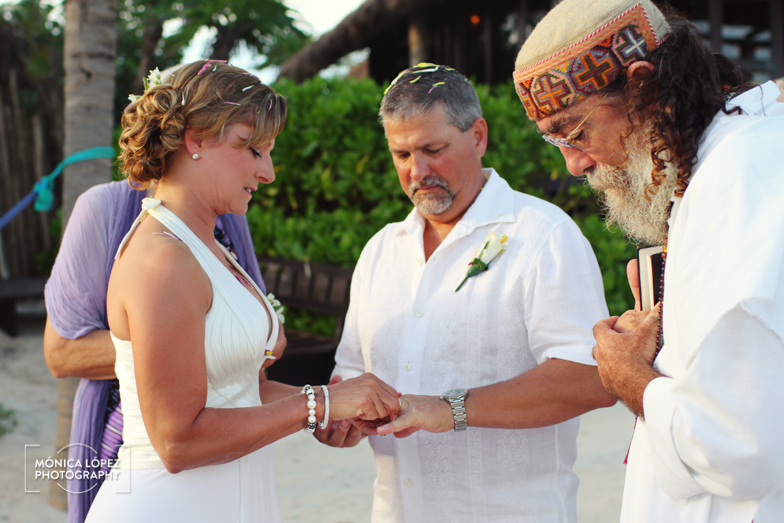 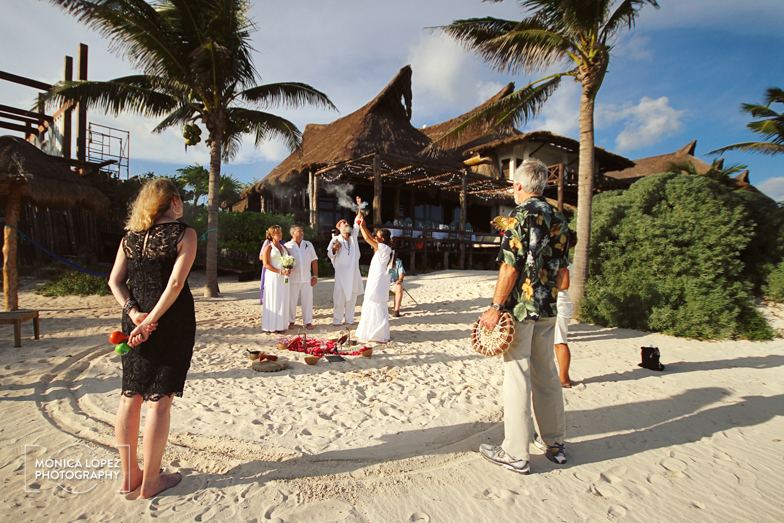 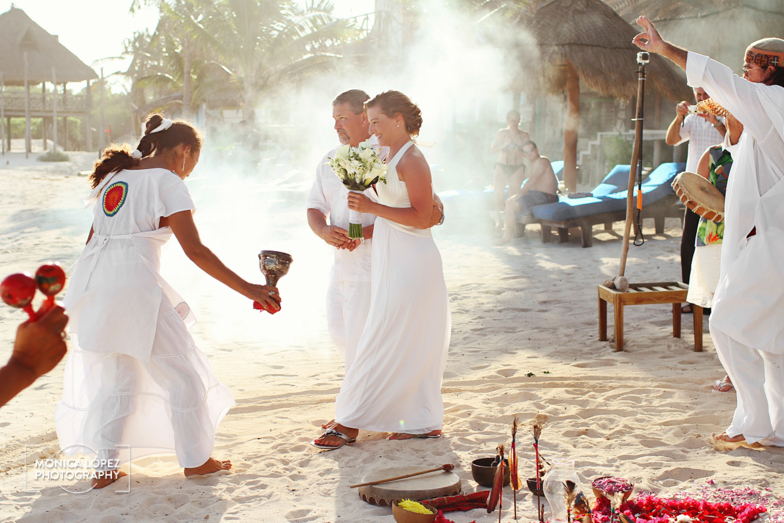 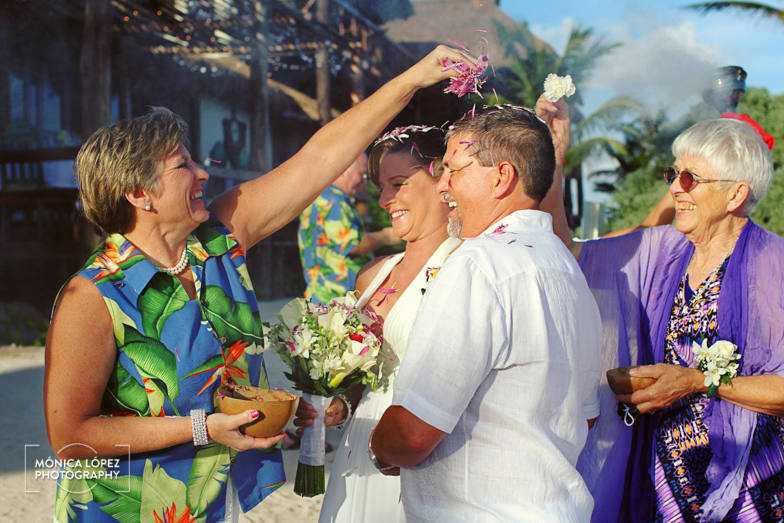 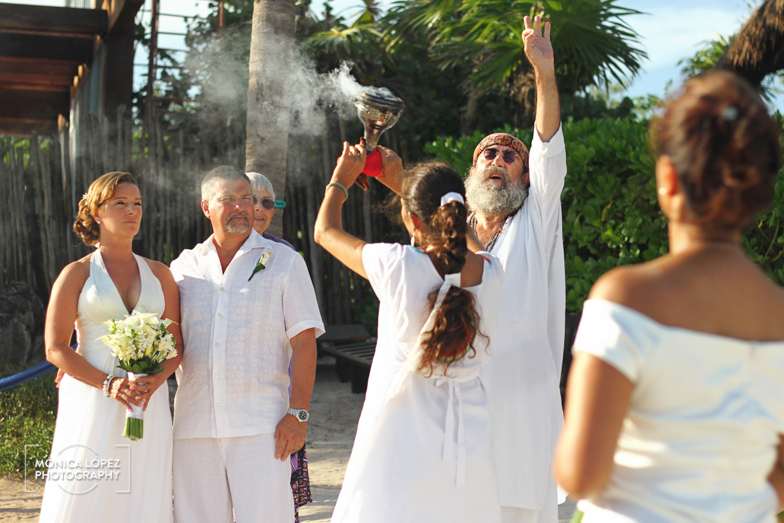 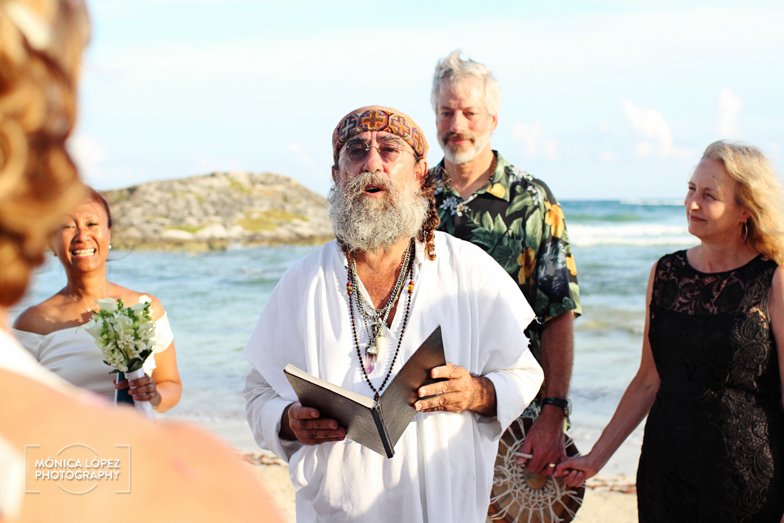 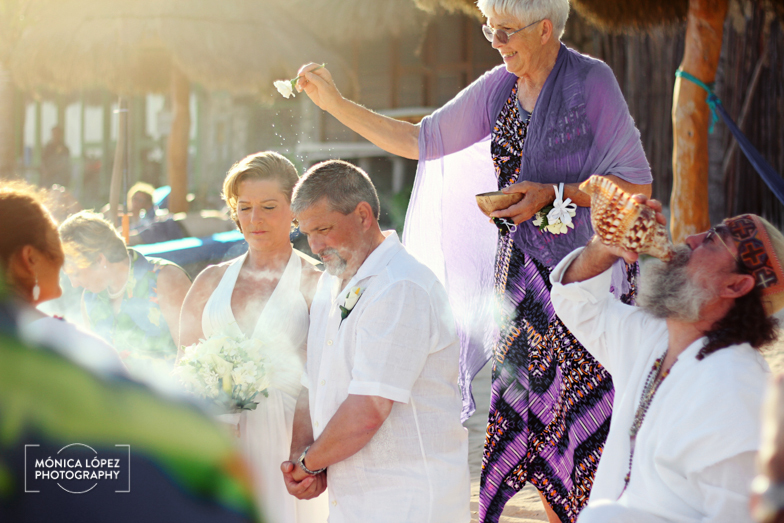 Tamara and Peter had a Mayan Ceremony, asking for blessings and good luck to the four cardinal points, finishing with a flower offering to the sea. 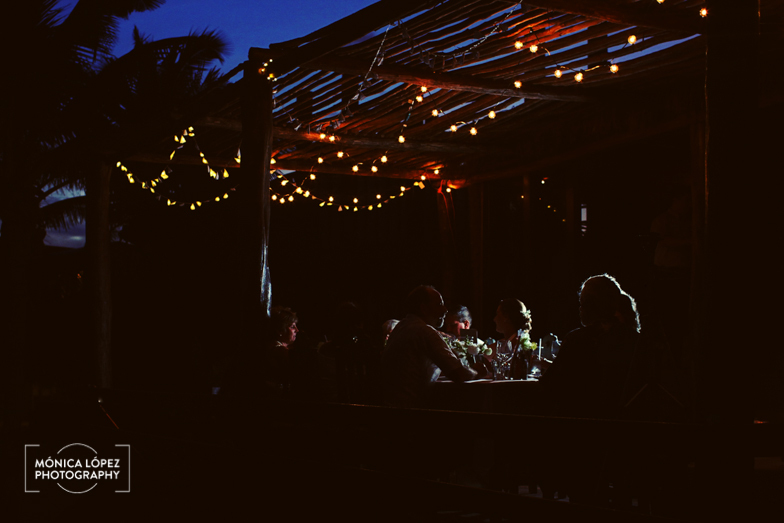 Only close friends and family attending, they had a delicious dinner and danced through the entire night, their laughs mixing with the sound of the waves. 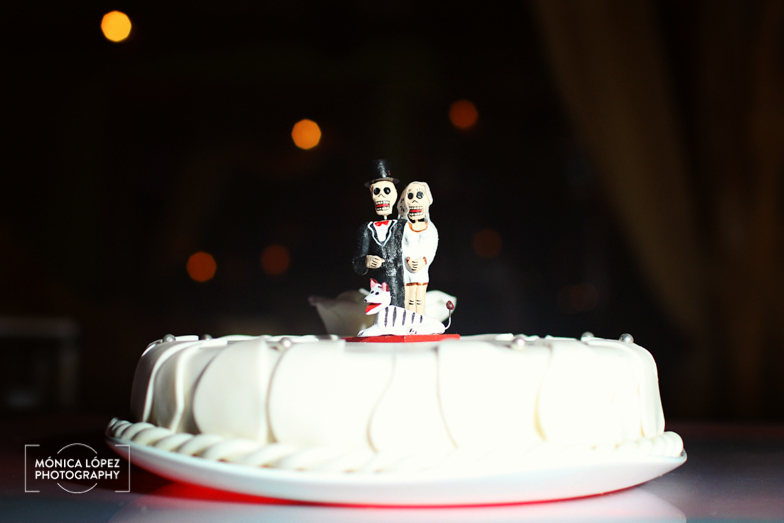 I want to thank Peter and Tamara for inviting me to this celebration of love, I wish you many years full of happyness and joy!